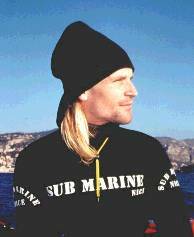 On June 5th 1999 Loíc Leferme set a new World-Record in the "No-Limits" Category. In Saint-Cap-Ferrat near Nice (France) he reached 137 Meters. The former Record-Holder was Gianluca Genoni with 135 meters. Here, at A.I.D.A. France are some details.